Last year we collected data from over 165 applications, covering 28,000+ integration instances, and 1.6+ billion API calls, all leading to the first annual State of API Integration Report of 2017. Our findings provided important key trends, correlating a prolific increase in web APIs to proof on how integral APIs have become in business strategy, product development and scalability. 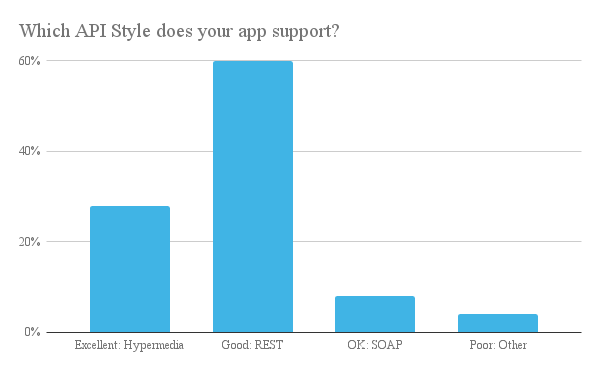 We took a vote from our developers on which application they work with day-in and day-out is considered best-in-class and worst-in-class. While we will not name names here, what you need to know is that the BEST API scores at a 91, and the WORST API scores at a 34. So when we saw that the community averaged around a 56.6 from our interactive API Integration scorecard, the data feels on par with our expectations. 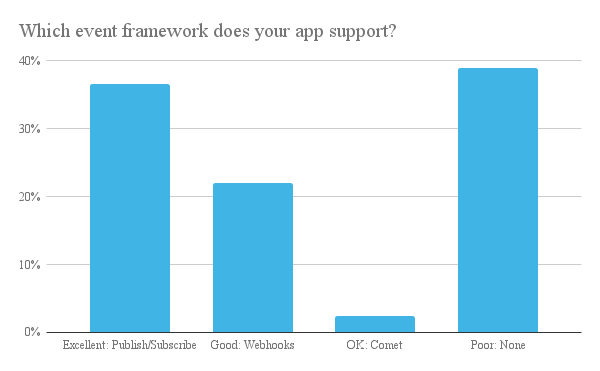 General areas in need of improvement include support for event frameworks and metadata discovery. Room for improvement in the coming year is continuing to migrate applications off of SOAP frameworks to REST APIs, and leveraging new platforms. The crux of integration is around orchestration. If data cannot flow from system-to-system, in real-time, have you really built an API integration? Event-Driven Architecture is certainly not a new methodology, but it’s enjoying renewed support in the world of integration because it reduces coupling between services and provides a far more efficient way of synchronizing and updating data. That’s just a small preview of the insights you’ll find in the full 2018 State of API Integration Report. The full report will further dissect the survey data and include insight from industry experts Kin Lane, The API Evangelist, Isabelle Mauny, co-founder and CTO of 42Crunch, and Ross Garrett, VP of Marketing at Cloud Elements. We will highlight top trends uncovered from the State of API Integration survey, including key challenges facing developers in the API space, important changes from 2017 results, and a forecasted view of the future of the industry. Download your copy of the 2018 State of API Integration Report now! Want to get up to speed on API integration before reading the full 2018 report? Check out our State of API Integration resources stream for more information and observations from last year’s report!